In a 2012 interview with PokerNews, former Full Tilt Poker exec Howard Lederer revealed a shocking piece of information about a double-credited $2 million loan that former FTP Pro Erick Lindgren never paid back to Full Tilt Poker. The double loan was paid to Lindgren by mistake, but Lindgren kept the extra $2 million despite Full Tilt Poker's efforts to retrieve the money. Full Tilt Poker was acquired by PokerStars' parent company, The Rational Group, a short while later, and with it went the rights to Lindgren's $2 million debt. Apparently, the outstanding balance has not been paid off. On Monday, The Rational Group confirmed to PokerNews that the company has sued Lindgren in federal court for the $2 million that was "erroneously" deposited into Lindgren's account in April 2011, as well as $531,807 for a separate loan he received from the company to play in poker tournaments. Lindgren, 38, is a two-time World Poker Tour and World Series of Poker champion with more than $10 million in live tournament cashes, according to the Hendon Mob. His earnings since PokerStars acquired Full Tilt Poker are for more than $1.6 million. Lindgren entered a rehab facility in Newport Beach, California, in 2012, where he worked through gambling addiction. 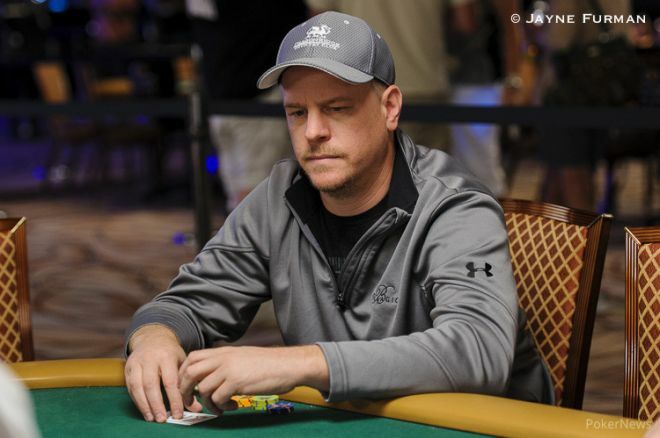 Lindgren told BLUFF that his gambling debts climbed as high as $10 million at one point, and he was struggling paying them off without a bankroll. Lindgren filed for Chapter 7 bankruptcy in 2012 after PokerStars renewed efforts to recoup the debt. According to a report by Courthouse News, the bankruptcy court did not discharge the debt to The Rational Group, allowing the company to pursue the $2.5 million. The Rational Group is also demanding damages for conversion, unjust enrichment, and breach of contract. PokerNews reached out to Lindgren on Monday but did not hear back as of press time. Stay tuned as more on this story develops. Top 10 Stories of 2013: #4, Full Tilt Poker Repayment in the U.S.